Based in New Castle County, Delaware, Friendship House is a non-profit, faith-based corporation in service to those individuals and families that are or are at risk..
At DCHV, we are constantly finding new ways to support and bring awareness to those who have graciously served our country and returned from the front lines. 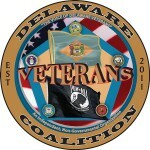 We are a non-partisan, not-for-profit organization whose purpose is to represent issues affects all generations of Delaware’s veterans to our state legislature. HFHDC will assist low-income homeowners who struggle to maintain the exterior of their homes because of age, disability or family circumstances.